It looks like Apple could up the ante when it comes to the camera in the 2019 iPhone. According to recent reports, Apple is considering including three camera lenses in the flagship 2019 iPhone, which could help introduce a whole new set of features. The report first came from Taiwanese publication Economic News Daily and notes that each of the three lenses in the device could sit in at 12-megapixels. Current iPhone models come with either two or one camera lenses, and those lenses work together for things like increased zoom and to discern depth for features like Portrait Mode. It’s important to note that this rumor doesn’t relate to the next iPhone — which will launch in the fall of this year — but rather the 2019 iPhone model, which we expect to launch in the fall of 2019. The device wouldn’t be the first to feature a lens with three cameras. Perhaps the most notable tri-lens camera is the new Huawei P20 Pro, which boasts a 40-megapixel sensor, a 20-megapixel sensor, and an 8-megapixel sensor. Those lenses are all used for different purposes. The 8-megapixel sensor, for example, is a telephoto lens, while the 20-megapixel sensor is a monochrome lens used to sharpen images and create more detailed photos. Of course, not all companies opt to use more lenses to bring more feature to a camera. Google, for example, created a camera that uses things like machine learning and a dual-pixel sensor to create a portrait mode similar to what can be found on Apple’s iPhone. It’s not yet known exactly what new features a tri-lens camera would enable on the 2019 iPhone. It’s possible that the new sensor could be a monochrome sensor, which could be used with the camera for things like enhanced detail for photos. 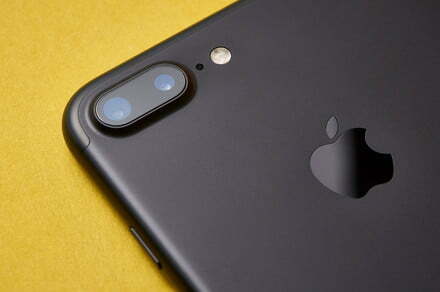 The added lens could come in response to increased competition from smartphone manufacturers when it comes to smartphone cameras — while five years ago Apple was the undisputed king of mobile cameras, these days devices like the Google Pixel 2 and Samsung Galaxy S9 boast excellent cameras that are at least on par with the cameras offered by the iPhone.